BPF’s funding profile is entirely wholesale funded, making it vulnerable to sudden changes in investors’ confidence. 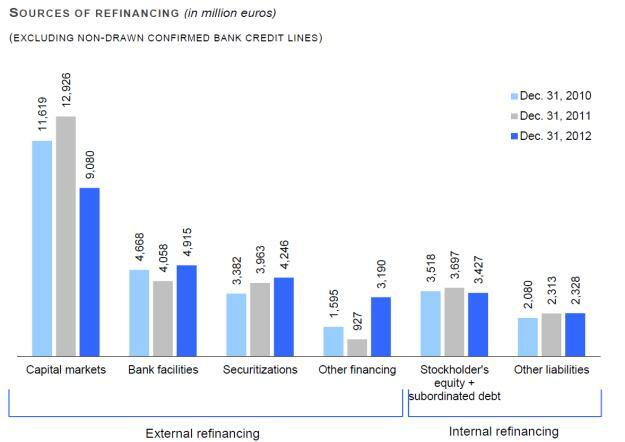 Restricted market access could lead to a shortening of the bank’s maturity profile and higher funding costs, which would constrain loan origination. This would in turn affect the strength of BPF’s franchise and ultimately reduce its earnings generation, particularly if any funding constraints coincided with higher loan impairments. After the rating agencies lowered BPF’s short term ratings to A3/P3, outstanding short-term debt, commercial paper issued …and deposit bonds issued by Banque PSA Finance dried up, falling from €3,754 million at December 31, 2011 to €147 million at December 31, 2012. A drastic and quick fall that is not that much different from a typical bank run. So the French government stepped in to provide support to the bank. In October, it announced that it would offer guarantees on €7 billion of future bond issues under its EMTN program. The guarantees helped put together a refinancing package that will enable BPF to continue operations while the parent company restructures, and while – hopefully – automobile sales recover. This past week the EU approved the first installment of the guarantees with conditions. The guarantees come on top of €700 million in support from the European Central Bank earlier last year. Peugeot’s predicament has lessons for other manufacturers considering whether or not to operate their own captive finance units. While there are obvious potential synergies to be had, there are also unique risks involved. The distinctive feature of a bank is the critical role that liquidity and confidence play in assuring its funding model. Many manufacturing businesses can withstand the indignities of a junk rating. And, should the debt burden become too heavy, a restructuring and workout can sometimes be negotiated which allows the firm to continue in a new form. In the case of banks, that is not so: a fragile bank undermines the foundation of its very business, and then there is no alternative but a takeover or some form of government sponsored resolution. Putting a manufacturing operation and a bank together under one roof opens up the possibility that otherwise manageable problems at the manufacturing unit may infect the banking unit and produce unmanageable risks. Of course, there are ways to structure a captive bank’s business model so that it is more resilient. Indeed, the European regulators had already taken steps to require captive finance units, including Peugeot’s, to alter their funding models. 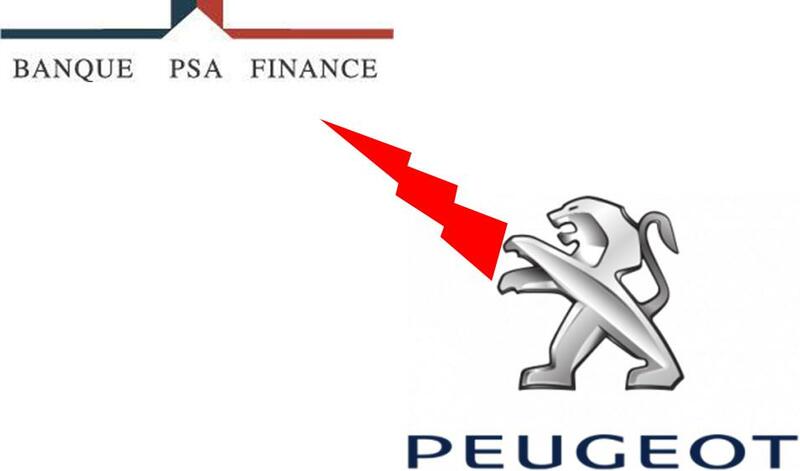 And, as a part of its latest restructuring announcements, Peugeot’s bank described plans to start taking deposits so as to reduce its reliance on wholesale funding markets. This entry was written by John Parsons & Antonio Mello, posted on February 14, 2013 at 9:10 am, filed under credit risk, exposure, financial policy, packaging risk, regulation. Bookmark the permalink. Follow any comments here with the RSS feed for this post. Post a comment or leave a trackback: Trackback URL.